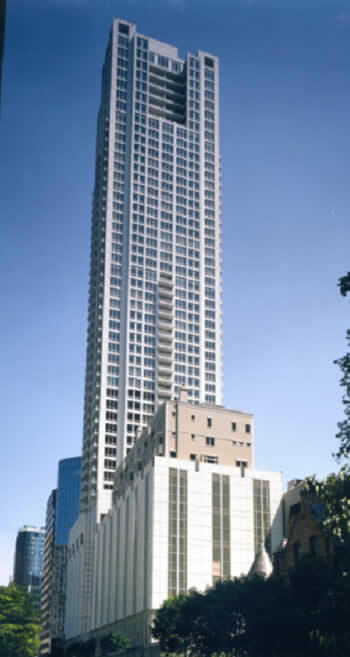 Gracious 56 story ivory tower located in "Mansion Row," one block off the Magnificent Mile. This is the tallest all residential, high-rise tower in Chicago and the third largest in America, standing 56 stories and 647 Feet high. Designed by Fujikawa Johnson & Associates and Searl & Associates Architects, the project was completed in 2004. There are 43 Residential Floors with an average of 4 units per floor.